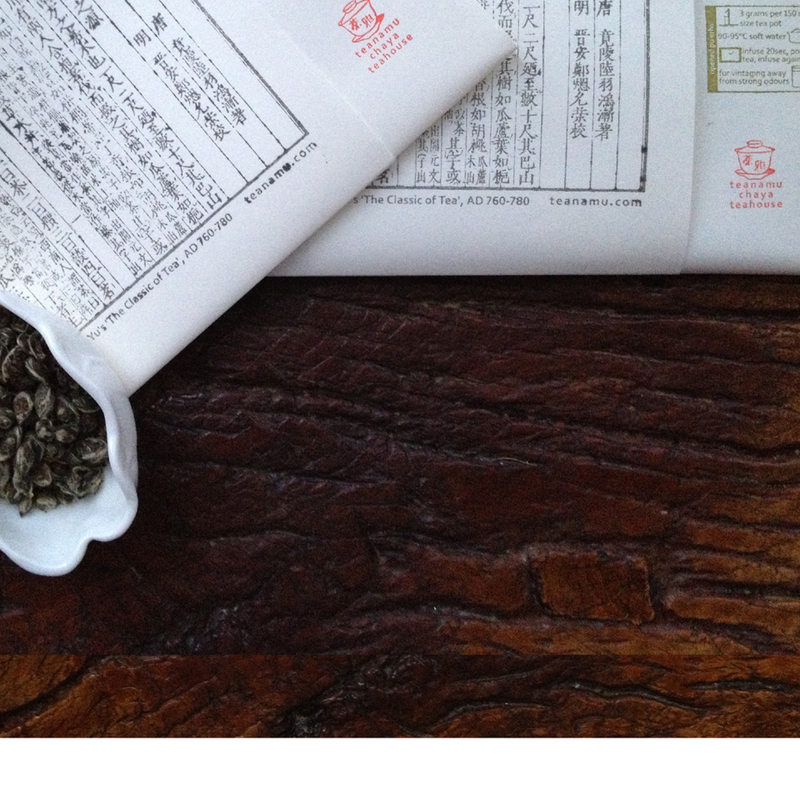 If the contact form does not work for you, please email us at pei at teanamu dot com or pop by chaya teahouse. 12 noon to 6pm. Saturdays to Sundays. 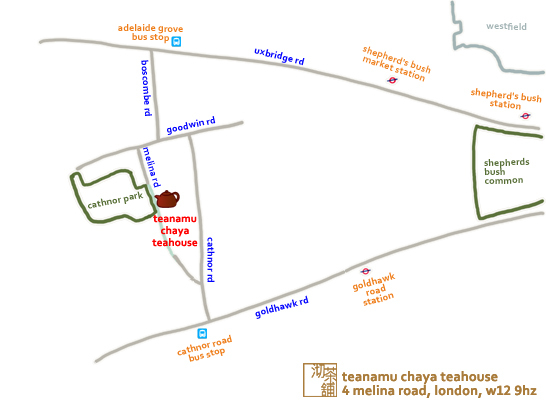 teanamu chaya teahouse is located in one of the four pre-war worker’s cottages facing the Cathnor Park. Look out for the house with the yellow door and the wooden “teanamu chaya teahouse” sign. The nearest tube station is Goldhawk Road station (Circle Line/Hammersmith and City Line), less than 10 minutes walk away. Shepherd’s Bush station (Central Line) is about 15 minutes walk away. The local bus stops are Cathnor Road stop (on Goldhawk Road with bus 94 and 237) and Adelaide Grove stop (on Uxbridge Road with bus 207, 228, 260, 283 and 607) and there is meter parking in the vicinity (free on weekends) and bicycle racks in front of Cathnor Park.